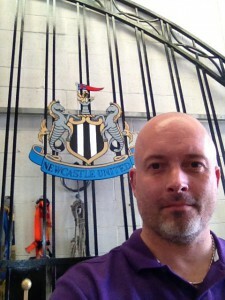 Ring Ring….. Ring Ring went the phone at 08:30 bit of an early start for a day working from home. 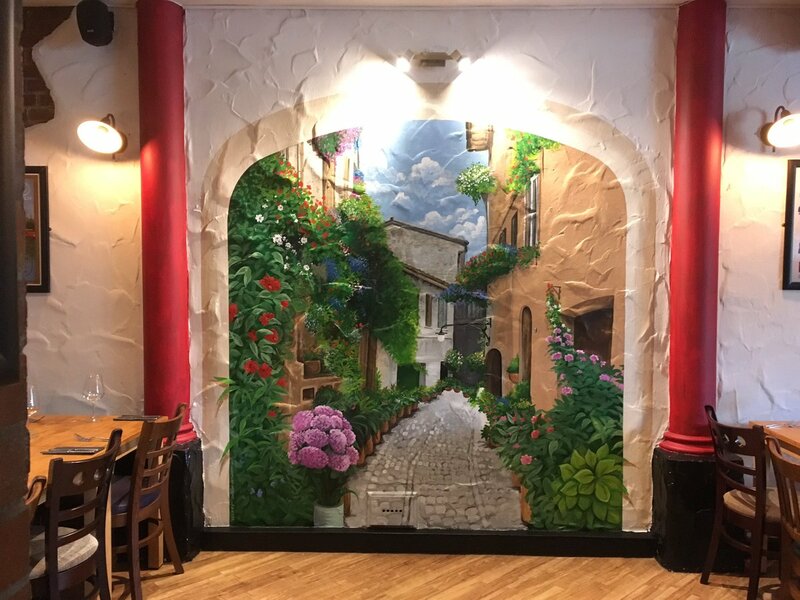 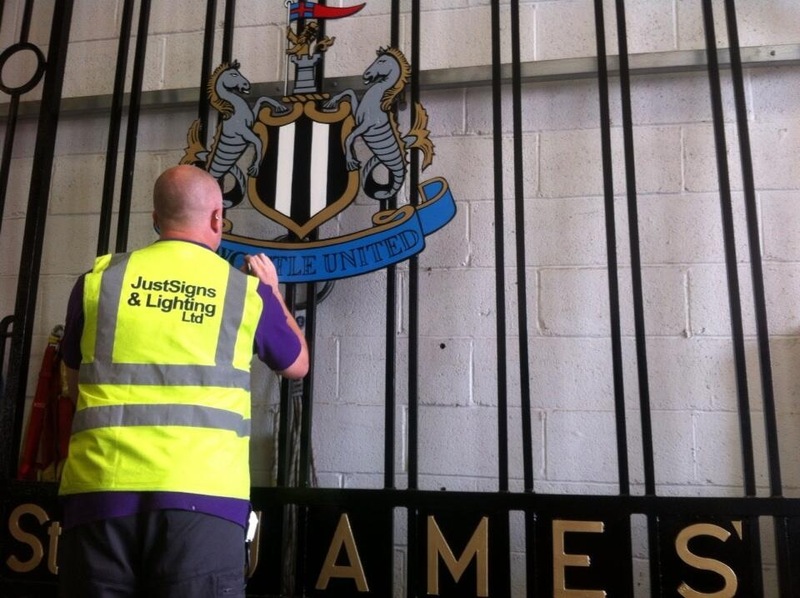 Hello… Hi Is that Lee… Yeah sure is what can I do for you?…..
Hi this is John were looking for someone who can paint a Newcastle United Crest. 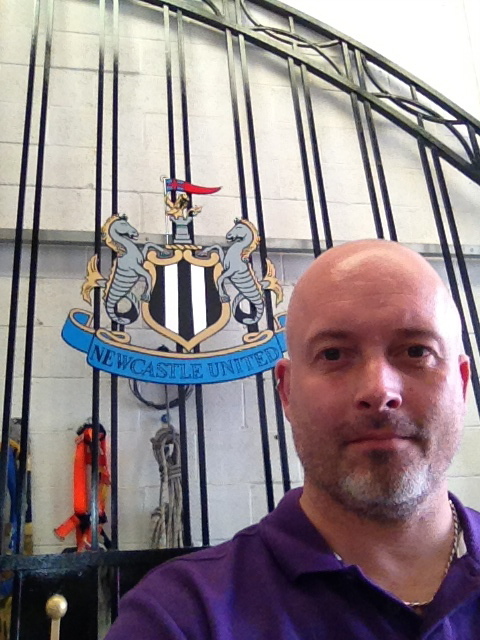 So to cut a long story short. 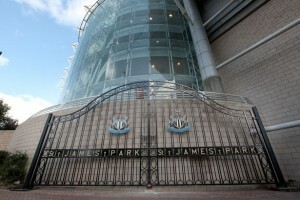 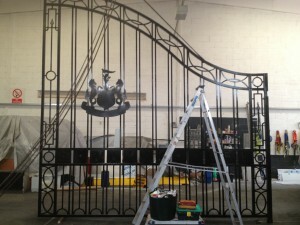 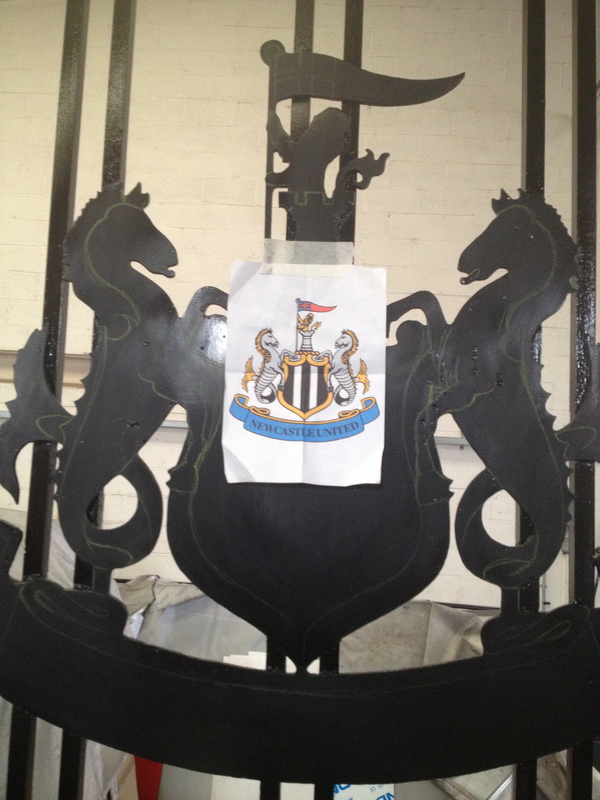 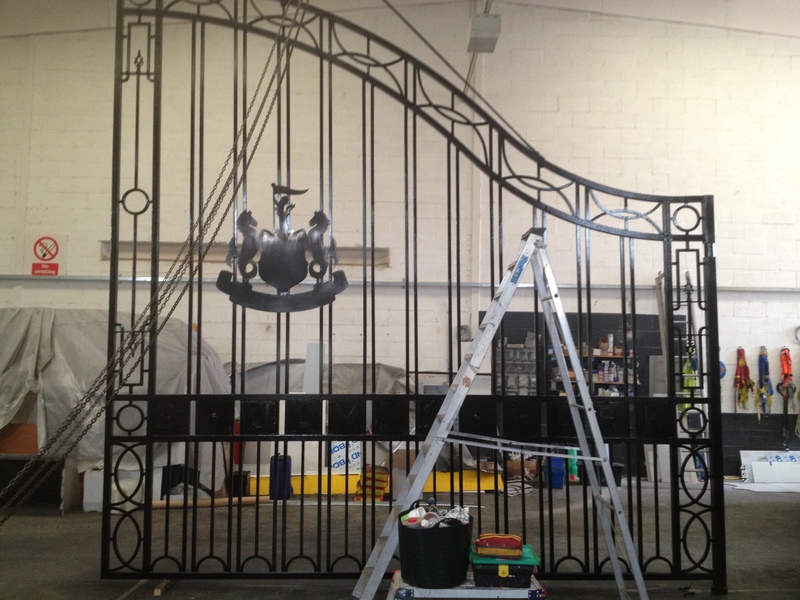 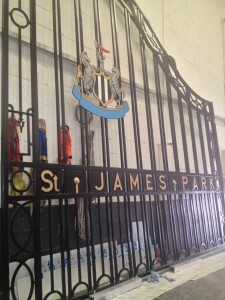 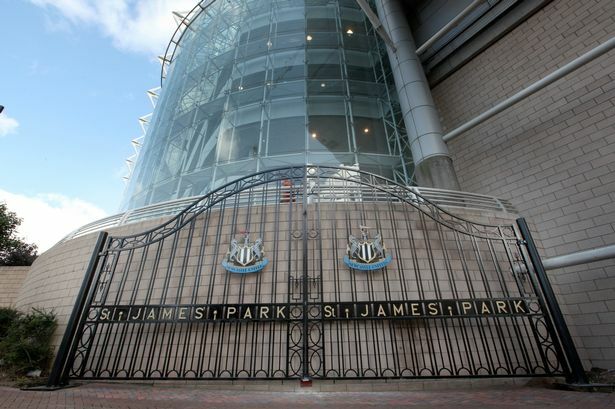 I take this call regarding painting the NUFC Crest on some gates, ok I can do that no big deal done a few NUFC crests on walls no big deal but they also want St. James Park picking out in gold on the letters that are already on the gates? 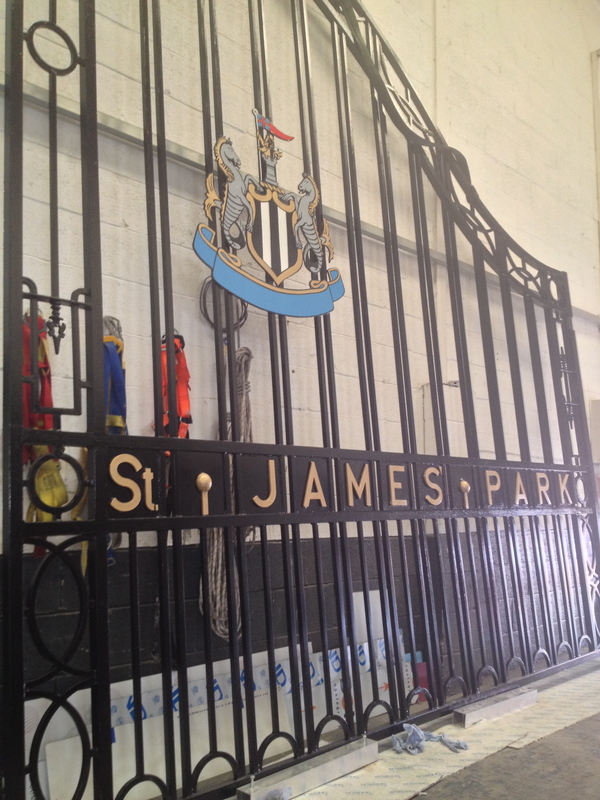 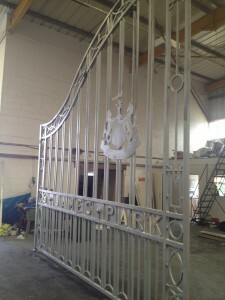 Ok yeah no problem Im thinking some one has some gates and wants NUFC crest and St James Park putting on them there currently sand blastng and repairing them…. 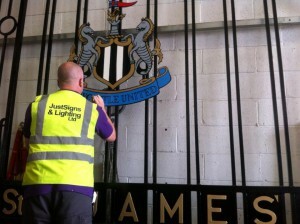 Hmmmmmmm somethings not right here Im thinking.